The Ultimate Super Bowl Fantasy Football Team ... With Animals! Are you ready for some football? Bring along your helmet and a healthy suspension of disbelief, and check out the ultimate fantasy football team lineup - of superstar athlete animals! The quarterback needs to be agile, but also able to take a hit. Most important, he has to have some massive guns to throw that ball down the field. Enter the gorilla. He's got six times the upper-body strength of the average human, and apparently he has a penchant for throwing things. We think he's the perfect choice to head the team. 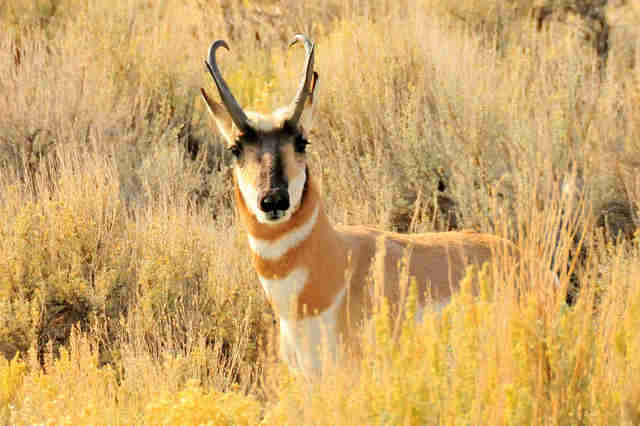 The running back is all about distance running, and no animal on Earth excels at running long distances more than the pronghorn. He's slightly slower than a cheetah but is capable of keeping up a fast pace for longer. He also has awesomely pointed toes that allow him to absorb shock if someone runs into him, so he'll take tackles like a champ. There's obviously a place for the world's fastest animal on this team of superstars. 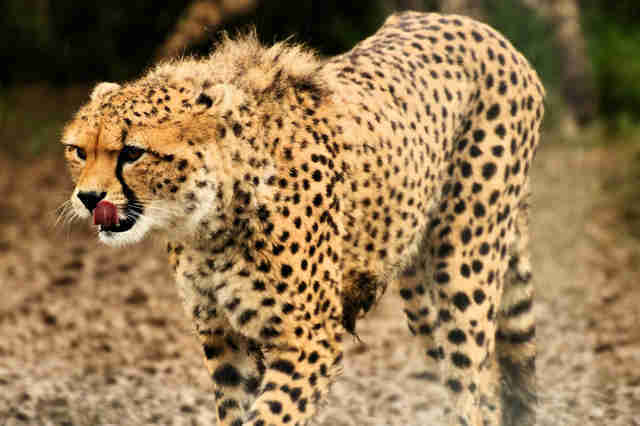 The cheetah is the fastest sprinter in the world at up to 61 mph, but he also has that cat-like agility that'll allow him to leap high in the air to catch the ball. Nothing can catch this guy once he's headed for that end zone. Every team needs a versatile player who can handle the demands of being a tight end. 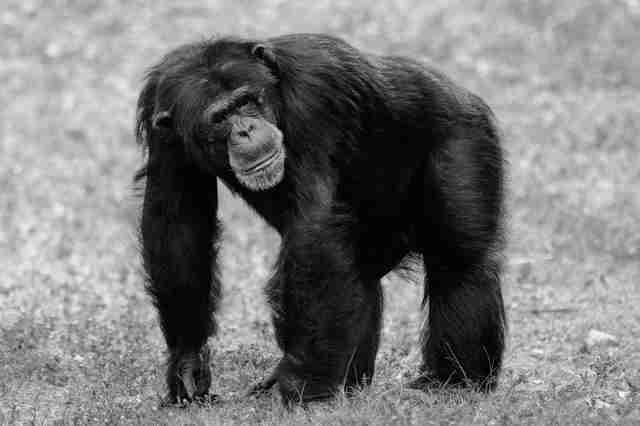 A chimp is strong enough to provide blockage for the quarterback, having up to double the strength of a person. There's even evidence he's better than we are at tactical games. He's quick, strong and agile, and, if you paint the ball yellow and put a Chiquita banana sticker on the side, nobody's getting it out of this guy's hands. Would you want go toe-to-giant-toe with this guy? We didn't think so. 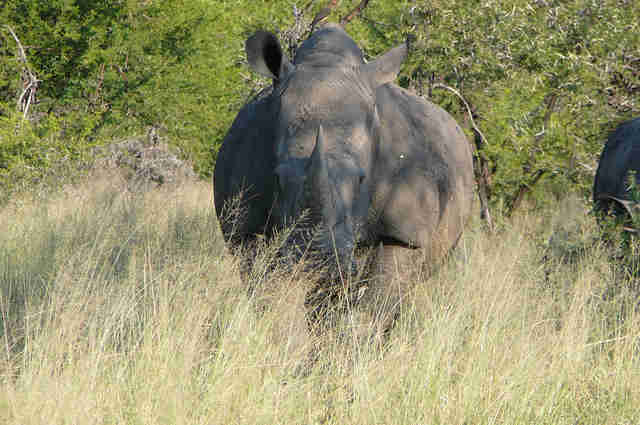 A group of rhinoceroses is not known as a herd or a gaggle, but rather a crash - making it all the more appropriate to have a couple of them on the team ready to charge. 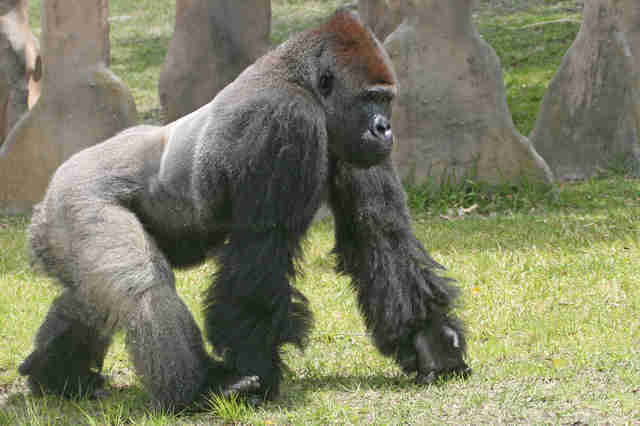 They can weigh as much as 5,000 pounds, so the other team is going to have a heck of a time bowling these guys over! 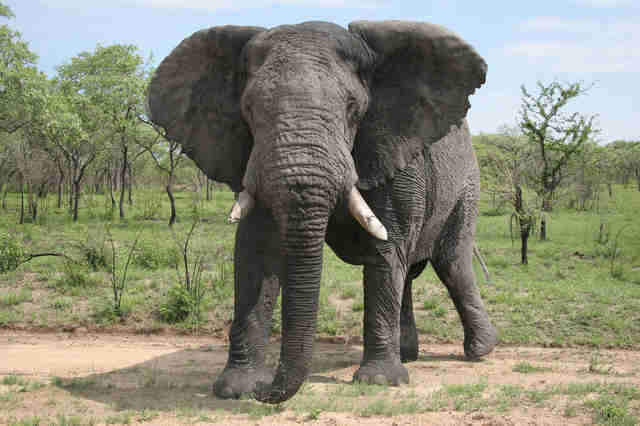 An elephant is up to 14,000 pounds of sheer intimidation on the field - and nothing is getting past this guy. Plus, he has the added bonus of just tossing the other team around with his trunk. Extra points for his massive frame, which could block the opposing team from seeing what's happening on the field. Let's be honest: The cornerback is not only a ball blocker, but also kind of an airborne thief. Who better to swoop in and steal the ball than the fastest-diving bird in the sky? 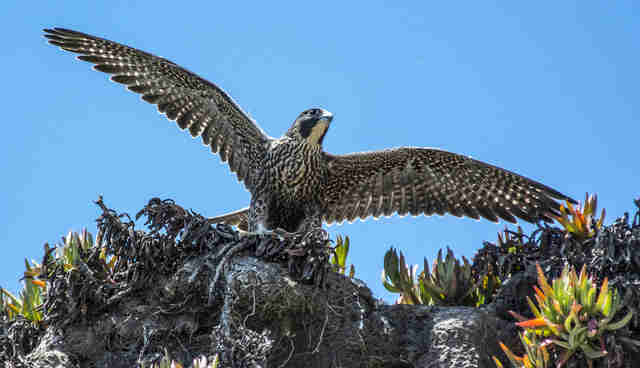 The peregrine will hover above the field and dive-bomb the ball before the opposing team knows what hit them. Linebackers have to do a little bit of everything, from stopping running backs in their tracks to rushing the quarterback. 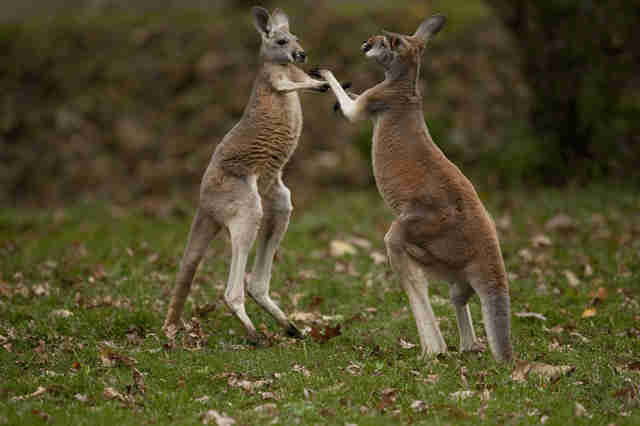 The kangaroo might seem like an odd choice, but he knows how to throw down in a fight, so he's certainly up to the task of knocking an opponent to the ground. Plus he's already known for boxing, so who says he can't excel at football, too? 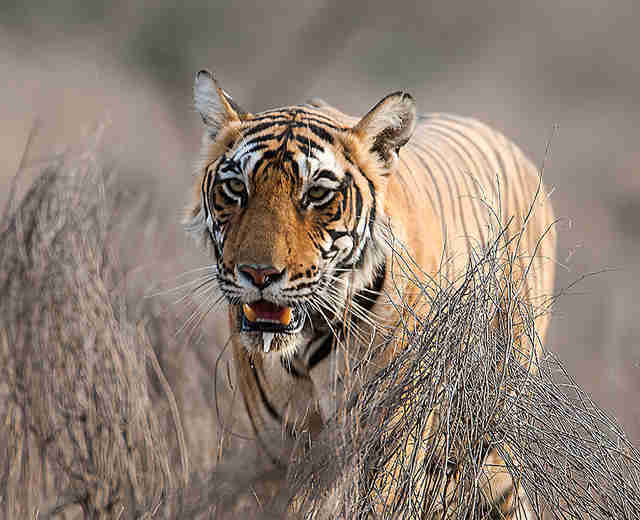 The safety is the last line of defense, so we thought it best to draft the only animal who can go toe-to-toe with almost any other animal and win: the tiger. Weighing in at around 800 pounds, he's not only strong but also has higher muscle density than every other feline species. The tiger can make incredible leaps, even high enough to reach an elephant's back. He has great leverage and a long-distance reach that'll help him fend off opponents, too. 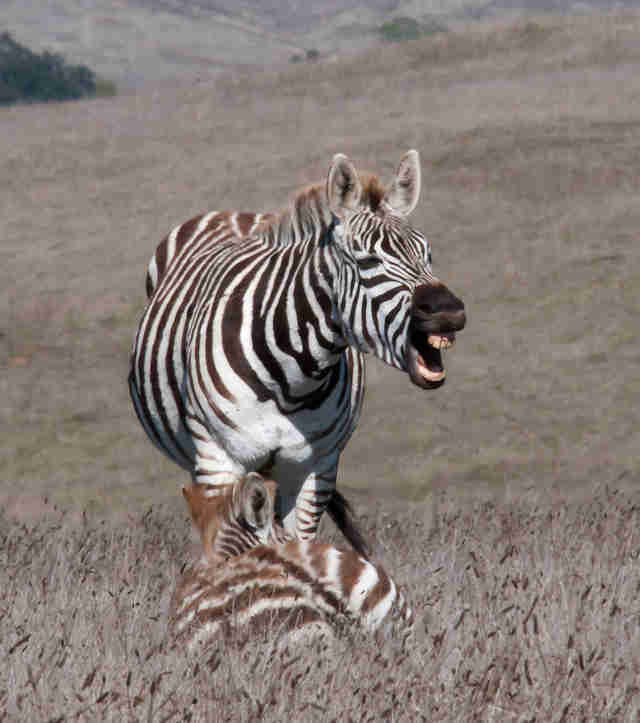 The zebra might not seem like the toughest choice for a kicker, but he's got some pretty amazing agility - and is fully capable of sending that ball flying across the field. He kicks from behind, so we're not certain about that aim. We might have to strap some extra padding on the ball holder just in case! 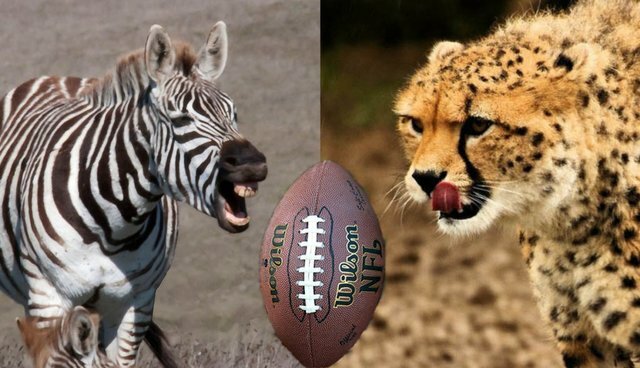 If you could build your ultimate animal football team, who would be on it?